Asia Bibi, who has been declared not guilty of blasphemy charges by Pakistan’s Supreme Court, is still reportedly unable to leave the country. Release International sources say she is in good health, contrary to other reports. Appeal against her acquittal dismissed. Dawn is the leading English language newspaper in Pakistan. Its report provides details of what was said in the hearing. Read the ministers full answer and subsequent short debate in Hansard. The second point which brings me to write this letter is the manner in which the Government has dealt with the case regarding Asia Bibi. This is a case that I have worked on passionately since 2012, alongside Bishop Michael Nazir-Ali, the Former Bishop of Rochester, to ensure that justice is done which was handed down by the Pakistan Supreme Court only recently. What I found shocking, is that the British Government is failing to put into practice the core values that our country stands for; religious freedom, justice, morally doing the right thing, and that when we see injustice where an individual’s life is in clear danger and they have been persecuted for their faith, we do all that we can to help them. The Government should not wait to see if another country offers sanctuary, we should have had the conviction to lead on this matter and offer sanctuary ourselves straight away. The letter which I sent to you regarding this matter on 13th November now has the support of some 124 MPs and Lords, I would be grateful if you can personally intervene in this case to ensure that a morally right decision is finally made which takes into account our core values, irrespective of the position that any other country may take on this. During Prime Minister’s questions Mike Kane MP (Lab. Wythenshawe and Sale East) asked Mrs may if Britain should offer her asylum. You can read her response in Hansard or watch below – source: Parliament TV. Today, concern over Britain’s lack of action in offering Asia Bibi and her family asylum has featured in the national headlines. Late yesterday reports of Asia Bibi’s release from prison in Pakistan began to circulate in the media. Some of them suggested that she and her family had already left the country. This is far from certain, with Pakistan Government spokespersons claiming she is still in the country, but at a secure location. The British Pakistani Christian Association, who are in direct contact with her husband, have confirmed that she has been released whilst calling for the media not to speculate on her whereabouts. Below are links to various reports concerning her release. The first of these is a statement from Andrew Boyd, Release International’s spokesman, provided to UCB radio. (2½ minutes). 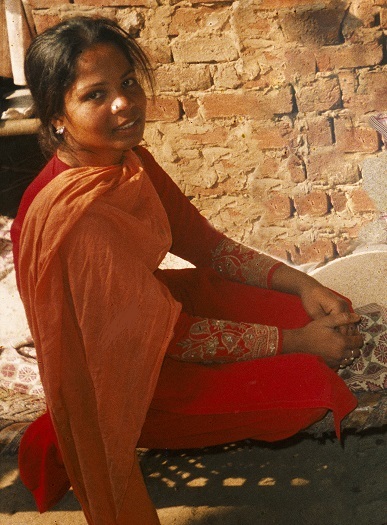 In a formal verdict Pakistan’s Supreme Court announced that Asia Bibi, a Christian woman who was sentenced to death 10 years ago for blasphemy, has been acquitted of the charge. Below are links to a number of reports all of which highlight that whilst this is a significant move for Asia and her family, it could also signal a period of national unrest in Pakistan. Very quickly after the verdict was announced protesters began blocking parts of major cities and the defence forces were put on high alert in advance of the announcement. Safety for Asia Bibi and her family, including her married daughters and their families. It is almost certain that they will all have to leave Pakistan if they are not to be tracked down and murdered. Pray for them to find not only a safe country to take refuge in, but a Christian environment where they can recover from the ordeal of the last 10 years and be built up in their trust and and confidence in Christ. Safety for her lawyer and his staff. The protection of the judges involved. Wisdom and courage for Pakistan’s government. Protection for the wider, but small Christian community in Pakistan, who could easy be targeted as a result of this verdict. The text bellow the following video links to the BBC’s report of Imran Khan speech to the nation following Asia Bibi’s acquittal. Further updates will be added when available.